Detroit Lions quarterback Matthew Stafford did not join his teammates at voluntary workouts Tuesday and later in the day, his wife was packing for a hospital visit. Stafford&apos;s wife, Kelly, announced earlier this month she plans to have surgery to remove a brain tumor . &apos;&apos;I&apos;m excited for this journey to come to an end and move on with my life!&apos;&apos; Kelly Stafford posted Tuesday night. The Detroit Lions have signed quarterback Tom Savage. Detroit made the move Tuesday, giving the team another backup option behind Matthew Stafford. The Lions also have quarterbacks Matt Cassel and Connor Cook on the roster. Patriots 2019 preseason schedule: Matt Patricia&apos;s Lions among four opponents originally appeared on nbcsportsboston.com UPDATE (2 p.m. ET): The New England Patriots confirmed their 2019 preseason schedule Tuesday afternoon. Here&apos;s the rundown: Week 1: at Detroit Lions Week 2: at Tennessee Titans Week 3: vs. Carolina Panthers Week 4: vs. New York Giants Exact dates and times have yet to be announced. 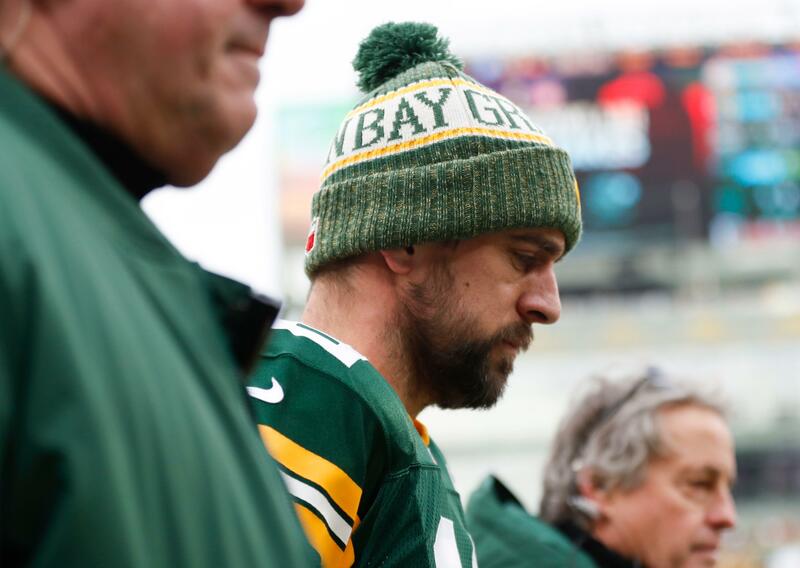 Green Bay Packers quarterback Aaron Rodgers took part in an extended interview with ESPN Radio Milwaukee&apos;s “Wilde and Tausch” on Monday. In part one of the interview, which aired Monday, Rodgers ripped last week&apos;s Bleacher Report story on the discord within the Packers, a story that cited numerous sources and laid the blame for the team&apos;s failures during Mike McCarthy&apos;s tenure on both Rodgers and McCarthy. Rodgers called the story a “smear attack,” though the quarterback isn&apos;t exactly known for having thick skin. NFL linebacker Brandon Copeland recently signed a lucrative contract with the New York Jets, but he says his conservative approach to spending and competitive mindset makes it possible to save 90% of his income. This offseason, he is teaching a class at the University of Pennsylvania about budgeting, saving and the magic of compound interest. When it comes to making plays, NFL linebacker Brandon Copeland is no stranger to risky moves. The Detroit Lions have signed free agent running back C.J. Anderson, who made big plays for the Rams after being acquired late last season. Anderson rushed for 403 yards in 11 games for the Panthers and Rams. Then he ran for 123 yards and two touchdowns in the Rams&apos; playoff win over Dallas, getting more carries than All-Pro Todd Gurley. Free agent linebacker Kyle Emanuel announced his retirement from the NFL on Thursday. Selected by the San Diego Chargers in the fifth round of the 2015 NFL Draft, Emanuel spent four years with the franchise. In his Twitter post on Thursday, the 27-year-old Emanuel said injuries have played a part in his retirement. Detroit Lions general manager Bob Quinn says he&apos;s open to trading down from the No. pick in the 2019 NFL Draft. She says an MRI showed the tumor on cranial nerves after she had vertigo spells within the last year. Kelly and the Matthew Stafford have three daughters . They started dating at Georgia where she was a cheerleader and he was the star of the football team.